The Heat burn the Wizards from three-point range, win 114-111. After an impressive performance against the Knicks on Thursday night, the Wizards turned in an equally unimpressive against the Heat as they lose 114-111 in a game that wasn’t as close as the final score would indicate. John Wall and Bradley Beal scored 34 points a piece, the first time since 2014 that two Wizards players scored 30+ points in the same game but it was all for naught. The Heat, a team known for their offensive struggles, came out shooting hot to begin this game and it continued throughout, as they’d shoot 51 percent from the field including 13 three-pointers. The Wizards were down by 17 at one point in the fourth quarter but hit a slew of shots in garbage time to make things look closer than they really were. The Wizards are now 1-2 in during this “easier” stretch of games. The Heat are one of the worst offensive teams in the NBA averaging just 94.5 points per game. Tonight, they scored 114. Defense was the last thing on the Wizards minds tonight. The Heat had open looks all night, especially from three-point range where they shot an impressive 48 percent (13-27). The Wizards were terrible on their closeouts and often just got lost on that end of the court, in turn, leaving their man wide open and the Heat made them pay. Markieff Morris rolled his ankle in the second quarter and never returned. That hurt as the Wizards were forced to shuffle their lineups resulting in Jason Smith getting his minutes. For the rest of the game, the Wizards lacked a physical presence on the defensive end as well as someone to get tough buckets in the paint. Hopefully it isn’t too bad as the Wizards can ill afford to get hit by the injury bug right now. Only three Wizards scored in double figures tonight. 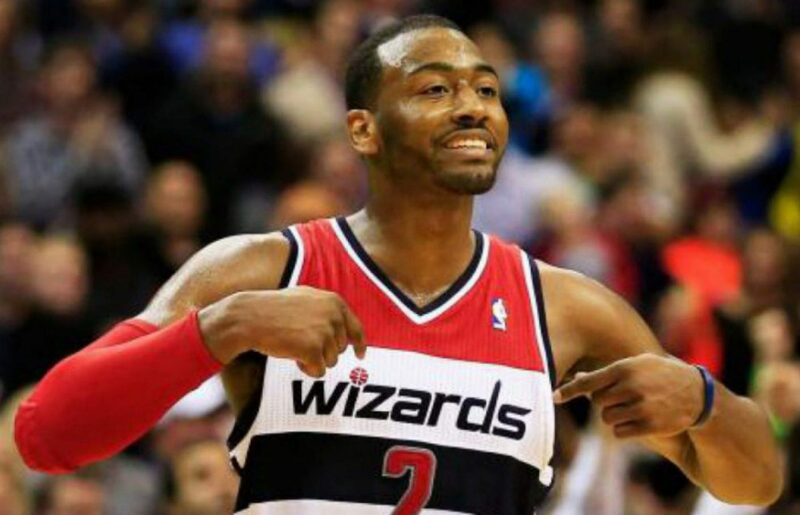 Wall and Beal with 34 a piece while Gortat had 10. The Wizards need more players to step in and score as they were still unable to win a game when Wall and Beal combined for 68 points. After a strong first quarter, Otto Porter disappeared and didn’t score the rest of the game. Satoransky was the high scorer off the bench with eight points including some nice cuts and back downs over smaller defenders. Things were only good for one night. It’s now time to start questioning where this team’s head is at, again. Next postWizards hang on to beat Suns, 106-101 behind career-high 42 points from Beal.